Bethany Head Coach Keith Ferguson does what he can to avoid technical fouls. However, with 2:46 left in the third quarter, and Bethany trailing 53-43, he knew his team needed a spark. From that point forward, Bethany out-scored Sterling 32-18 and hung on for a 75-71 win in Lindsborg. Bethany jumped out to a 19-8 lead in the first quarter. The Swedes put forward Sydney Ahaneku on the third leading scorer in the nation, Kylah Comley, hoping to bother her with size and length. Comley finished the game with 29 points, but took 24 shots, and didn’t score in the first period. Jordin Greer had a big night for the Warriors, and hit a fall-away three at the end of the first, to trim the lead to 19-14 Bethany. Sterling led 32-31 at halftime, and pushed their lead to ten after the Ferguson technical in the third quarter. Sterling got to the foul line a bunch in that third session, and finished the game 18-20 as a team. In the fourth period, Bethany tightened the screws defensively. The Swedes won the fourth frame 27-16, and didn’t grab their first lead of the second half until 4:22 to go in the game, 66-65. Bethany’s Marissa Pope scored a fast-break layup to give Bethany a 70-67 lead with 3:21 remaining. After a Greer jumper, Bethany’s Lauren Welsch powered her way to the goal with 1:54 left, making it 72-69 Bethany. The Swedes got a huge bucket from Cassidy Enns with 0:09 to go, pushing the lead back to three after Sterling had hit a pair of free throws. The victory ended a 15 game losing streak against Sterling, and was Bethany’s first win in the series since 2010. Bethany has won five of their last six contests, and host Southwestern on Wednesday. Tipoff is set for 6pm, with pregame at 5:45pm on KVOB 95.5 The Rock. The Bethany men lost their sixth straight league game on Saturday, 76-60 to Sterling. It was the first road win of the season for the Warriors. Both teams are now 2-8 in the KCAC. The lead see-sawed back and forth in the first half. Sterling led 36-33 at the break. It was a nip and tuck game in the second half, until the 11:26 mark. With the score tied at 48, Sterling went on a 13-0 run and never looked back. Bethany didn’t score for nearly six minutes, and finally ended the drought with 6:15 remaining. 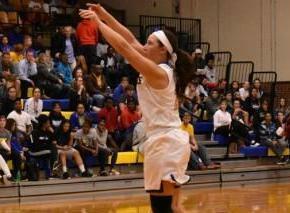 Sterling out-rebounded Bethany 45-29, and had six players in double figures. Bethany returns to action on Wednesday as they welcome the 9-1 Southwestern Moundbuilders to Lindsborg. Tipoff is set for 8pm, with pregame at 7:45pm on KVOB 95.5 The Rock.